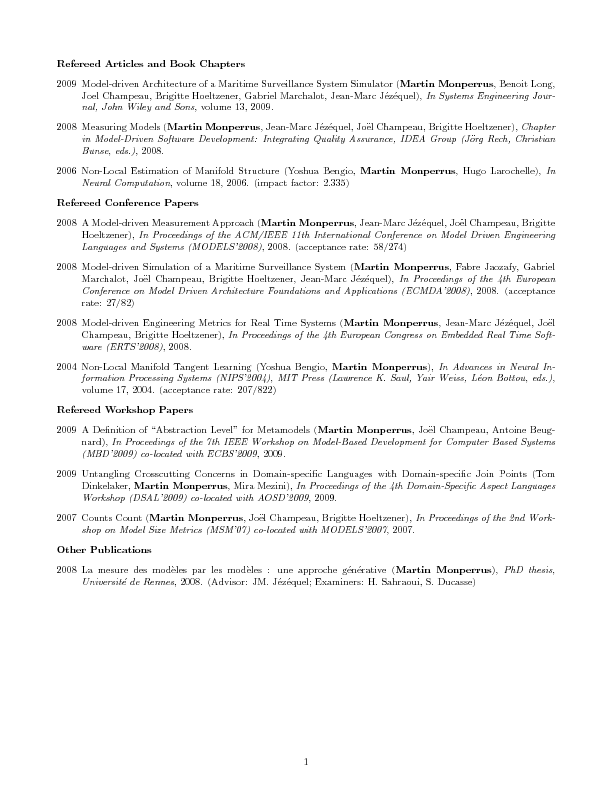 bibtex2latex generates a publication list in latex from a bibtex file. It is written in PHP and is built on top of bibtexbrowser. The publication list created has an academic style (book/articles/conferenc papers/workshop paper/etc). For instance, it can be inserted in a CV. The main advantage of this approach is that your publication list in your web page and the one in your CV are always in sync and have the same style. Created on May 29, 2009. Last modified on April 25, 2019.